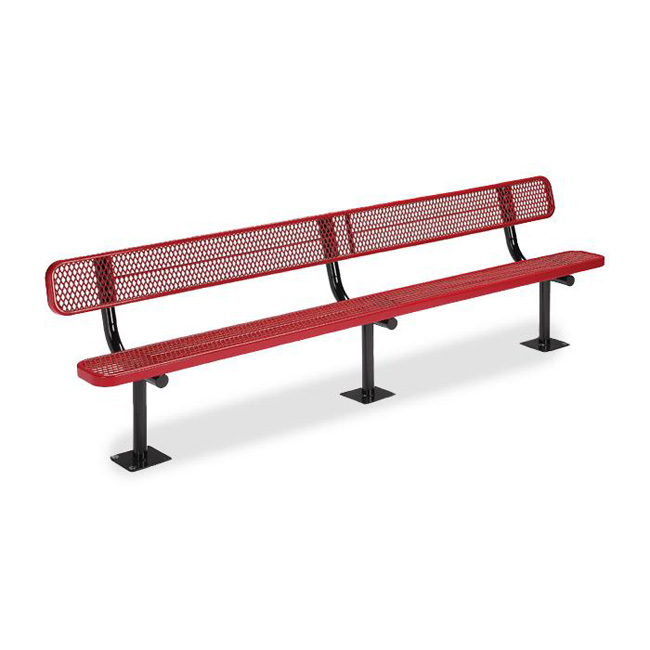 Sophisticated simplicity best describes our Fontana bench. A 10″ wide vinyl coated expanded steel solid edge bench and back, mounted on 2 3/8″ round steel pedestal legs provide a clean look to any area. Back and Bench Size: 10" x 120"